Spiral escalators wind slowly up this vast mall, enticing shoppers with mid-priced chain stores including J Crew, Abercrombie & Fitch and Club Monaco. 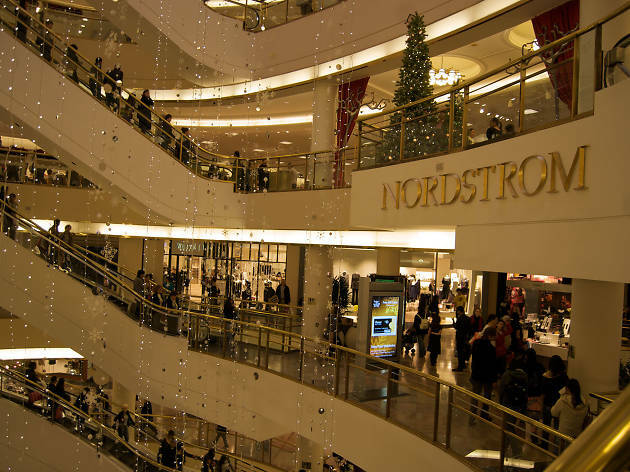 Nordstrom resides on top like a society matron; express elevators whizz you straight there. The new expansion in the old Emporium features a glittering new Bloomingdale's, a long-awaited addition to the downtown shopping scene. 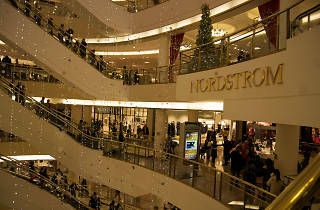 Further draws include H&M, Zara, Juicy Couture, a sizeable Borders bookstore and a nine-theatre cineplex. You won't go hungry here, either, with eateries such as Out the Door, the spin-off of Vietnamese celeb-stop Slanted Door.